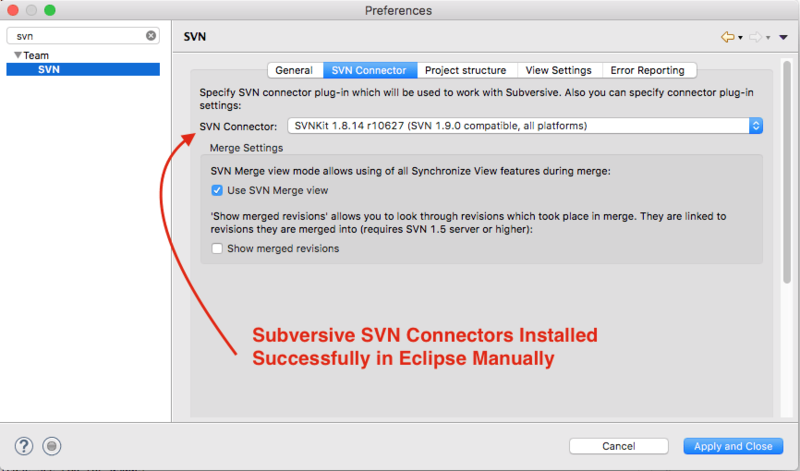 Blog Design Development How to Install Subversive SVN Connectors Manually in Eclipse? Eclipse IDE has been evolved so much in last few years. Version 4.7 Oxygen is out in June and we have been using since then. 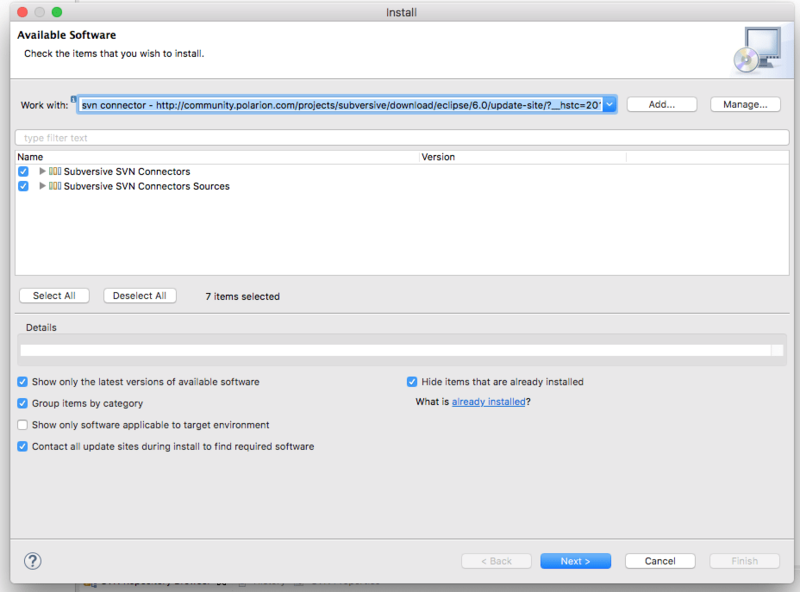 Recently we noticed a strange behaviour which I never observed older version of Eclipse IDE. 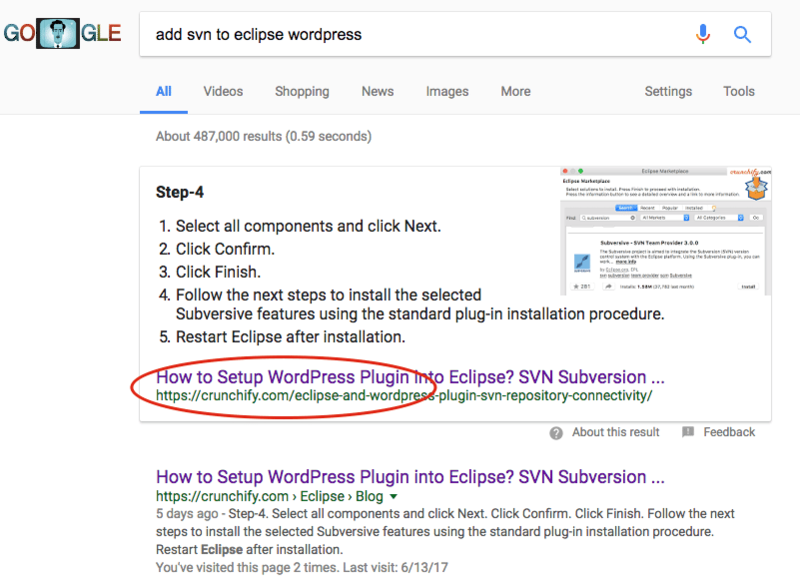 We have very detailed article on Crunchify about How to setup Subversion in Eclipse for WordPress Plugin Development. Article has been featured in Google Search Result page for quite a few times as you see below. 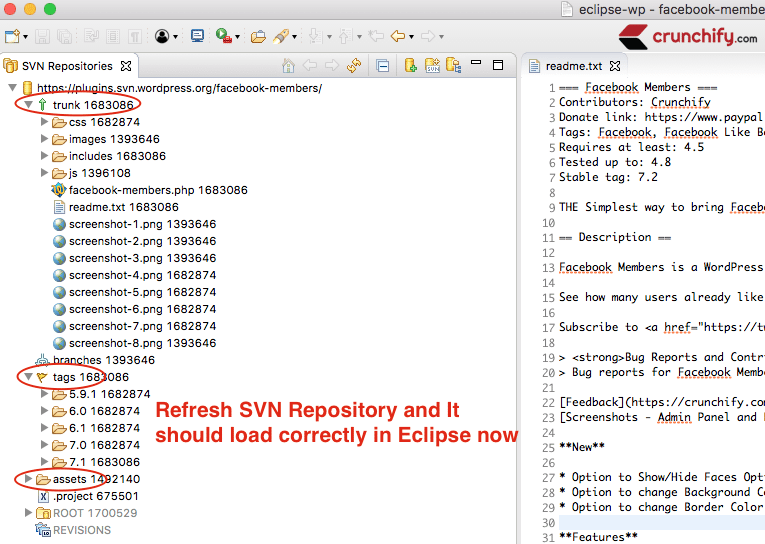 I was reinstalling again Subversion into my new Eclipse IDE and noticed strange behavior on Step-6 in that tutorial. There was no pop-up appeared for me for Subversive SVN Connectors. Because of that – I was getting below errors. How to fix this SVN Connector Error? 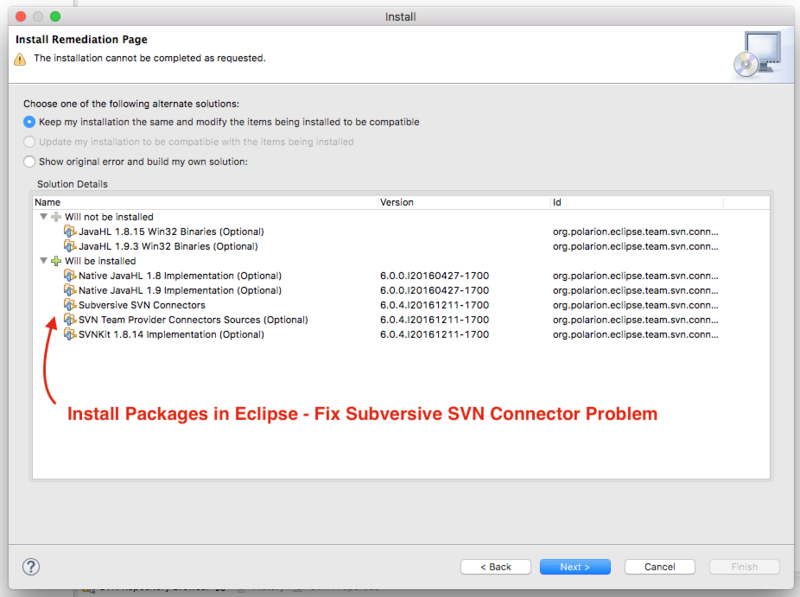 You will see two available packages for Subversive SVN Connectors. Select both and click Next. On next screen, you will see all packages which will be installed on your Eclipse IDE. Click Next and Install packages. Once done – please restart your Eclipse. How to verify if SVN Connector is installed correctly or not? You should see SVNKit name there instead of Blank space. Just refresh your SVN Repository and you should see all folders from SVN like tags, assets, trunk, etc will be loaded successfully. And you are all set. Now continue following step-6 onwards from other tutorial which we mentioned above. Happy coding and developing WordPress plugins.